The Central Board of Secondary Education will grant full marks for the tricky class 12 mathematics questions. Students have asked the board to conduct a fair evaluation. The Central Board of Secondary Education or CBSE has proudly declared the Class 12th Result 2018 on the official website that is cbse.nic.in. The CBSE has proudly announced the CBSE 12th Result 2018 on the official website that is cbse.nic.in. The Central Board of Secondary Education (CBSE) has announced CBSE 12th Result 2018 today. The CBSE Class 12 Result 2018 is now available on the official website of the CBSE Board i.e. cbse.nic.in. The Central Board of Secondary Education (CBSE) has released a circular regarding revision of the CBSE Class 12th 2018 board examinations dates. The date for the Physical Education examination has been changed. 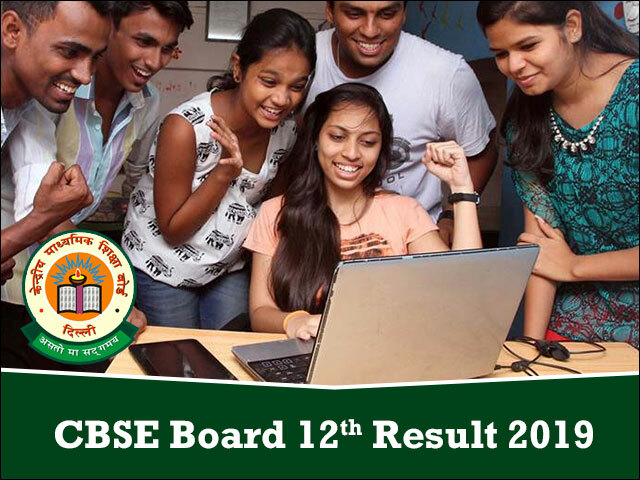 CBSE announced the CBSE Board Class 12th Results today. The news comes in wake of CBSE’s decision to drop the idea of approaching Supreme Court over the marks moderation policy. CBSE 12th Result will be available online on the official website i.e. cbseresults.nic.in and cbse.nic.in. After several twists and turns, finally the CBSE 12th Result 2017 was announced today i.e. 28th May. Now students will be able to check their CBSE XII Result 2017 online on the official website i.e. cbseresults.nic.in and results.nic.in. CBSE 12th Result 2017 has been declared today on the official website cbseresults.nic.in, cbse.nic.in and results.nic.in. Nearly, 11 lakh students have received their CBSE Class 12 Results 2017 on 28th May. As per the latest inputs, the CBSE 12th Result 2017 has been declared. After the official declaration, CBSE 12th Class Results is now available at www.cbseresults.nic.in and www.results.nic.in. Students can also get the latest updates about CBSE Class 12 Result 2017 @ cbse12.jagranjosh.com. The Central Board of Secondary Education (CBSE) has declared CBSE 12 Result 2017 today at 10 AM on its official website i.e cbseresults.nic.in,. The board had earlier dropped the idea of approaching the Supreme Court over the marks moderation policy. As per the latest update, the Central Board of Secondary Education (CBSE) is not going to approach the Supreme Court of India over Delhi High Court’s order of allowing continuation of moderation policy on extra marks. The latest buzz coming from CBSE suggests that the CBSE 12th Result 2017 will be announced next week on cbseresults.nic.in and cbse.nic.in. The delay in the declaration of CBSE Class 12 Results is expected to be Delhi High Court order which has directed the Board to keep its marks moderation policy intact for this year. Breaking News - The CBSE 12th Date Sheet 2017 has been formally announced by the CBSE Board. Get the detailed CBSE Board 12th Date Sheet 2017 here.